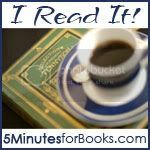 Tomorrow is the I Read It carnival over at 5 Minutes for Books. Lisa read and reviewed the book Clara's War . I had it on my shelf and after reading her review of it, I decided to get to the book sooner, rather than later. True confessions: I've never been a big fan of the Diary of Anne Frank . I read that book when I was younger and I didn't understand why it fell in to the "classics" category. It's not that it was a depressing story (which it is) but it is in the way that it is told. Anne was just a depressed young lady and it came through the book. I felt rotten after reading it. I suppose that you might say one is supposed to feel rotten after reading about Anne Frank. But let me do a little comparing and contrasting for a second to show why I think Clara's War is worthy of much more attention and admiration. Clara was 15/16 years old during the time her family crawled into a bunker underneath the house of some friends in order to be hidden and saved from the Nazi's. There were 18 people packed into the size space of a horse stall. She had no intention of keeping a journal during their ordeal, but she did so at her mother's urging. When they experienced close calls at being discovered, or heard the news of the deaths of various family members her mother would say to her, "Write, Clara, write!" And write she would. I had the feeling in reading Anne's diary that she was a rebellious, sulky sort of teen. She did not fully appreciate the fact that people were sacrificing for her. She hated the conditions she was in. It was a generally miserable experience. By contrast, Clara was well aware of the dangers that her family was putting their protectors, the Becks, through. When writing of the Beck family troubles, she spares the reader nothing in terms of marital infidelities, arguments and fights and the general flirtatiousness of the the Beck's daughter, Ala. However, all of that clearly stated, she continuously and enthusiastically maintains the fact that the Beck family were their heroes. She talks about their generosity in giving to the 18 Jews that they hid in their bunker. She talks about Mr. Beck's valour and strength in doing what he knew to be right in a time when his actions were declared wrong. She noted how much the family scarified. In short, Clara was grateful. Not only was Clara grateful but she was willing to sacrifice anything and everything to save as many lives as possible. She didn't complain about conditions. She tried to do her part to make sure that everyone had their fare share of food, sleep and personal space (be it mental or physical). She loved her parents dearly. She adored her sister. She mothered her niece and nephew who were made orphans during the war. At the time of liberation, out of the 5,000 Jews who lived in her small Polish town, only 50 remained. FIFTY! She states that she knew she survived for good reason and with a purpose in mind and she committed to living a life worthy of those who had died. She also committed to preserve the memory of those who had died by speaking to the public about the Holocaust and by writing this book. She is now 81 (at the time this book is published) and gives weekly talks about the Holocaust and her family's experience. Her diary is now on display at the National Holocaust Museum in Washington D.C.
What Clara and her family suffered was horrific and outrageous, as Lisa said. Her stories are haunting and heart-breaking. This is not an easy read in one sense, because the Nazis were not an easy people to understand. On the other hand, her fierce loyalty and love for her family, and commitment to live worthy of a calling is quite admirable. When everything in the world was dark and bleak, she had a hope which really shines through in this book. I REALLY liked this book. I like it more than the Diary of Anne Frank . 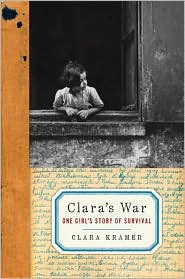 When the time comes to hand over World War II autobiographies and biographies to my children, I'd hand Clara's story over first because even though the subject matter does cause one to cringe - it also offers hope and strength. Instead of closing the book and feeling depressed, I felt energized and renewed. I felt at peace in knowing that I had read a story about a truly remarkable and admirable woman who showed great faith and strength in the midst of adversity. Yes, I do like Clara's War more and I heartily recommend this book alongside Lisa. I am glad there is a book out there that was written by a studiously stellar personality, I too disliked the Frank diary because of the sullen, brooding way it was written. I will have to put this on my, and eventually my kids, To Be Read lists! this does sound great, Carrie! Thanks for reminding me of it--I read Lisa's review and thought it sounded good then. I know you've read The Hiding Place, right? I hadn't heard of this one before, but have now added to my list. I am going to have to get this book. I love diary type books.